Shortly after getting engaged, Verona Koliqi and Mirand Buzaku discovered a delightful coincidence in a photo from 10 years ago. 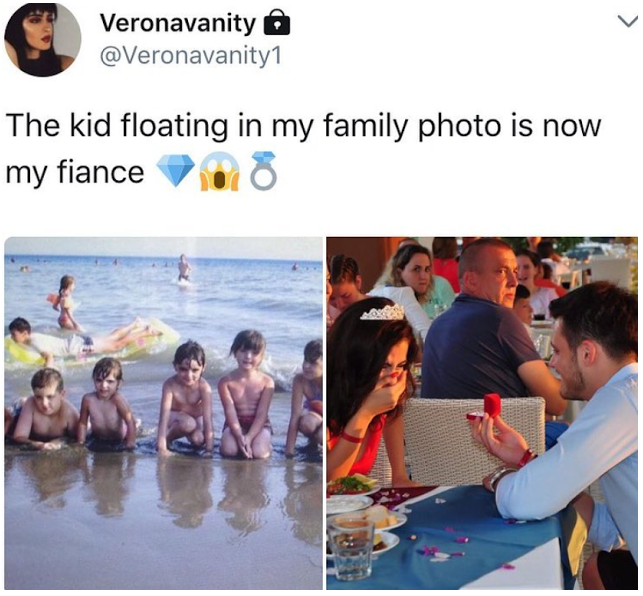 “My cousin found this photo on her computer, and she sent it over to me on my phone to laugh about how we looked when we were younger,” Koliqi tells Yahoo Lifestyle. 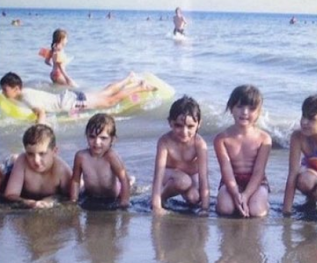 The photo shows a group of kids posing in the ocean at a beach in Montenegro. She showed it to her fiancé, and they poked fun at her “tomboy” look. But then Buzaku peered closer at the kid in the background of the pic, lying on a float just like the one he used to have. Everything in the photo matched Buzaku’s memory of how he would hang out in the water — down to the white T-shirt. Because it was still hard to believe, they turned to his family, who confirmed that they’d gone to that same beach at the same time. What’s wild about this is that she was visiting from London at the time, and he was visiting from Kosovo. “I never knew something like this could happen, even though I’ve heard a saying: ‘You will have passed your soul mate at least once way before you actually meet up,'” she says. Koliqi still lives in the U.K., but she was visiting Kosovo (also her home country), in the summer of 2016, when her path once again crossed with Buzaku’s. 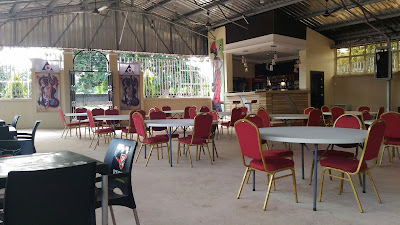 This time they actually noticed each other. “We exchanged looks every day we saw each other but did nothing,” she says. Finally, she made the first move by liking one of his photos on Instagram. 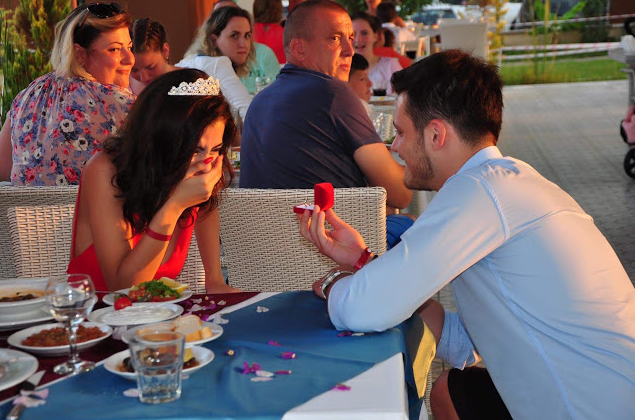 A year later, he proposed to her at a resort in Turkey.